Hello! My name is Hope and I live in Matinkylä, Espoo. 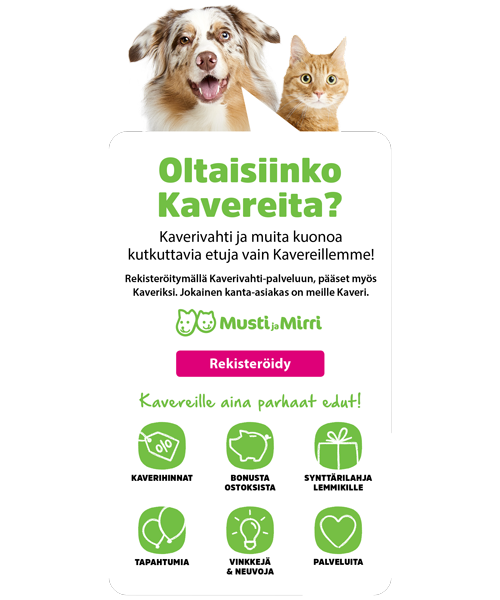 I have been a pet carer for about 2 years in Finland watching mostly dogs from 1 kilo - 70 kilos, but I am also happy to watch cats. I love animals and grew up on a farm raising many animals all of my life in the U.S. I am flexible, caring and loving to all pets and am happy to care for yours too! Hope took very well care of my dog for couple of days. She fed him and kept me informed by sending photos. Everything went perfect. I'm relying in Hope for future trips.